There are few words that inspire a mix of emotions the way the word “change” does. For some people, it’s one of the most frightening words in the dictionary. For others, the word conjures up feelings of excitement and anticipation, like an adventure that’s just beginning to unfold. For others still, change is synonymous with the unknown, and while it might not be scary per se, it still gives way to uneasiness and insecurity. For most people though, change is hard. Moving to a new city, beginning a new relationship, starting a family… Going from what is comfortable and familiar to something foreign is never easy. Like jumping out of a solid airplane into the clear blue sky, with nothing but a parachute to keep you afloat. For many, that’s what starting a new career can feel like. Imagine a lawyer. She spent countless hours going to school, learning the laws of the country, defending clients and urging juries to see her point. This, she is familiar with. Then suddenly, she becomes the owner of her family’s ranch. She now has acres and acres of land under her control with animals that need her care. It is the land that requires her stewardship. The ranch is her client, and the river that runs through it needs advocacy. So, she defends it. Picture a mother of six, who spends her days working as an air craft mechanic for the Air Force. She fixes parts on planes, works on machines until they’re ready for the skies. She’s spent her life cooking for first her siblings, and then her family, but never has she done it as a business. Then, one day, she sees a need in the community. People who need to be fed. People who need to be loved. People who need a second chance. So, she opens a restaurant. Think of a teacher. Since 1973, she has taught children the wonders of science. She has fostered their creativity, invited their questions, and inspired many more. She’s had classrooms under her control, and has instilled knowledge as well as wisdom upon many young minds. However, she sees a gap. The equipment given to her and others to show children tiny forms of life is not where it needs to be. It hasn’t been changed in years, and the kids’ quality of learning suffers. So, she starts a business. Alice Ball Strunk. Alice “Ma” Harper. Carol Espensen. San Antonio women, who, aside from changing career paths, have one thing in common: courage. They are women who didn’t let fear stand in the way of change. Women who saw a need and took a chance. They understood their risk was worth the reward. Sitting and talking with them about their lives, their careers and their passions is like taking a shot of straight inspiration to the heart. They are not fearless; they are brave in spite of fear. They are not perfect; they are powerful in their uniqueness. They are women with stories of great lives lived and paths that curved, changed, shifted and molded who they have become. They are game changers. Nestled deep in the rugged hills of Val Verde county lies a river whose name was changed from that of a saint to mirror its rugged terrain, frequent flooding and remote location. Snaking through Southwest Texas, the turquoise waters of the Devils River flow, flanked by limestone bluffs and rapids fit for seasoned paddlers only. It is one of the clearest, cleanest rivers in the Lone Star State, as powerful and strong as she is beautiful and majestic. The landscape is a contradiction of adjectives, rough and jagged in places, as well as emerald green and lush in others. Tucked against the river’s bank is a powerhouse in Texas’s agricultural repertoire. The Hudspeth River Ranch, owned and operated by family since 1905, covers acres and acres of biologically diverse land, and serves as home to numerous kinds of livestock, such as cattle, goats and lamb, as well historic sites dotted with well-preserved Native American rock art. At the helm of the ship is Alice Ball Strunk, owner of Hudspeth River Ranch. Strunk took the reins from her mother, who passed away in 2011. She inherited the ranch from her own mother, Strunk’s grandmother, who inherited the ranch from Strunk’s great-grandmother. It is a legacy of strong women turned female ranchers that Strunk now heads. Similar to the river that runs through her land, Strunk is a study in contrasts. 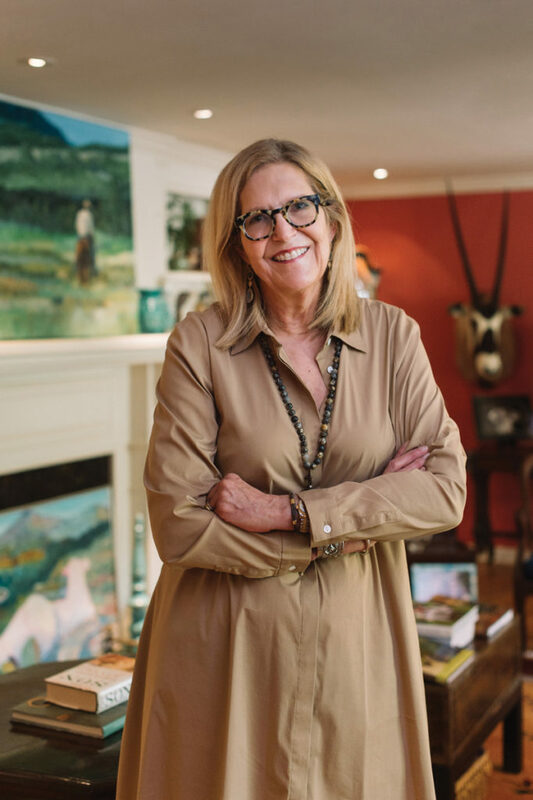 She is a mother and a wife, as well as a respected landowner, a conservation advocate, and a successful retired lawyer. Strunk grew up on ranch lands, between the Hudspeth River Ranch and another ranch south of Houston. Her father taught her how to manage a ranch when she was in law school, although her mother had spent years prior to that priming her to one day own and run the Hudspeth, a practice Stunk has implemented with her own daughters, Sarah and Abbey. Though the girls don’t technically work at the ranch, Strunk said one day, they too will join the lineage of women ranchers that has been passed down through generations. Sarah, the older of the two girls, helps her mother on the ranch, and is the first to chime in on the importance of preserving the land and the beautiful river that runs through it. “She knows that her heritage means that, like me, there will come the time when she has to devote her life to our largest and most beautiful resource,” Strunk said. “This has been a family thing, and we want to make sure that conservation of the land continues,” Sarah said, echoing her mother’s statements. Part of that effort comes in the form of the Devils River Conservancy. Strunk serves on the Board of Directors for the conservancy, and is well acquainted with the need to protect the river. The conservancy was developed as a response to water marketers who wanted to sell the water that flows through the Devils River and its basin, as well as protect it from recreational overuse, land fragmentation and other threats. Currently, the Devils River Conservancy has launched “Don’t Blow It”, a campaign that demands thoughtful regulation of wind energy development to save one of the last wild areas in the state. Strunk’s 17-year stint as a lawyer seems to have prepared her for the job of protecting and advocating for the Devils River. Although her time as an attorney took her all over the state and was hard to leave behind, she said taking over the ranch and continuing her family’s legacy had been a long time coming. There is a certain kind of woman who can hold her own both in the courtroom and in the rugged lands of ranch ownership. Strunk has the same qualities as the river she so adamantly fights for: beautiful and strong, unyielding and inspiring. It’s this mix of attributes that makes Strunk the perfect addition to the heritage of courageous, resilient women that have kept the Hudspeth River Ranch running for more than a century. Ma Harper’s Creole Kitchen opens at 11:00 on the dot, but it was just after 10:00 when one of her employees greeted my coworker and me at the door and let us in. She introduced herself as Ma Harper, a Southern twang detectable in her voice that hinted at her Louisiana heritage. In all the time we were with her, she didn’t refer to herself as “Alice” once. It was always Ma. She’d been to the doctor that morning before the interview, after having problems with her left eye, the result of a stroke she suffered more than twenty years ago. Her doctors told her then that she may not ever see out of that eye again, and that she needed to avoid situations that may induce stress. 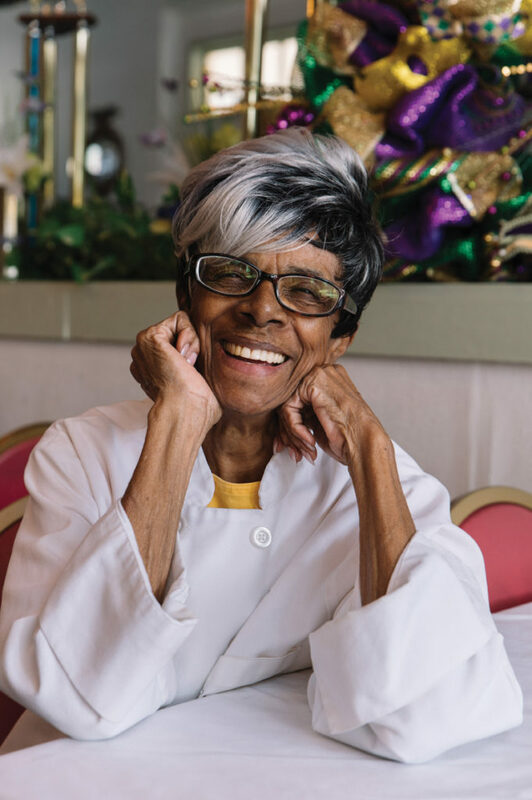 As we sat down in the dining area of Ma’s restaurant, her employees laughing loudly from the kitchen with jazz music playing in the background, it was clear that the doctor’s advice was unnecessary: Ma Harper is doing just fine. We had a good laugh about that, the thought of this tiny, 89-year-old Southern lady slapping around ex-inmates and whipping them into shape. However, that seems to be exactly what Ma does. She’s well known in the San Antonio community for her willingness to hire what she refers to as her “second chances.” She hires people out of incarceration, on parole, with disabilities, or who just need a second chance in life. Ma opened her restaurant in June of 1991, after serving 21 years at Kelly Air Force Base as a civilian aircraft mechanic. Although she dropped out of high school at the age of 17, Ma decided in 1982 to go back to school for her GED. In December of ’83, she received her certificate and enrolled in college classes at the age of 53. “I was afraid to go get my GED, because at that age, I was afraid of being embarrassed by young people, but I found out they were dumber than me,” she said with a laugh. If anything defines Ma, that attitude of never giving up is a very good example, whether it’s on herself, her family or her employees. Ma grew up in a family of 16 children. She was the second oldest, and has been cooking since she was 12. She grinned as she talked about opening her restaurant. Ma does far more than offer up delicious samplings from her home town of New Orleans in her kitchen. Ma sees people in a way that is rare. She doesn’t just see an ex-convict or someone with a difficult past. She sees someone hungry – hungry for acceptance, hungry for forgiveness, and hungry for love. So, she feeds them. Whether it’s the people she feeds in her restaurant, the people she employs in her kitchen, or the homeless people that sometimes sleep outside her restaurant at night, Ma sees no difference. She extends a hand to everyone, and regards each and every person she meets with the same grace she said God gives her each day. “God ain’t looking at the outside anyway,” she said. “God’s looking at the inside of a person.” Ma is humble. Her eyes are for others, and her focus is on serving. “I want God to fix my eye, so I can go out and let young people know: God created us all equal, but not alike,” Ma said. “God loves you even if you’re laying on the ground. He still loves you.” It’s not hard with Ma to understand that to her, every person – not just convicts – needs a second chance. At Ma’s, it doesn’t matter where you come from or what has happened in your life. She’ll smile, welcome you with a hug, and quickly tell you there’s love and forgiveness readily available. It’s obvious in the joy on her employee’s faces that they’ve experienced it firsthand. We talked to Ma for almost two hours, although time slipped by quickly, as it always does. As we wrapped up, Ma started talking about her food. She’s the undisputed Creole queen of San Antonio, and for good reason. Her gumbo, which she says is “imitated by many but duplicated by none,” is a favorite among local customers. When we mentioned our love of fried pork chops, Ma wasted no time in requesting a to-go order for both of us. As she said, she loves feeding people. “That’s my life, y’all,” she said. “I walked into the doctor’s office at 7:15 this morning with two dozen doughnuts. They needed something.” Yet another prime example of Ma Harper taking care of people. The bell chimed on the door of Local Coffee Shop, the smell of freshly brewed coffee enveloping and awakening on a sunny Monday morning. I looked around, trying to recognize a woman I had only seen in a photo once before. She wasn’t difficult to find. Smiling brightly over a cup of black coffee, Carol Espensen waved at me from her place near the window. Illuminated by the sun shining through, Espensen was cheery, warm and welcoming – a happy divergence from the typical Monday grouchiness most people carry. 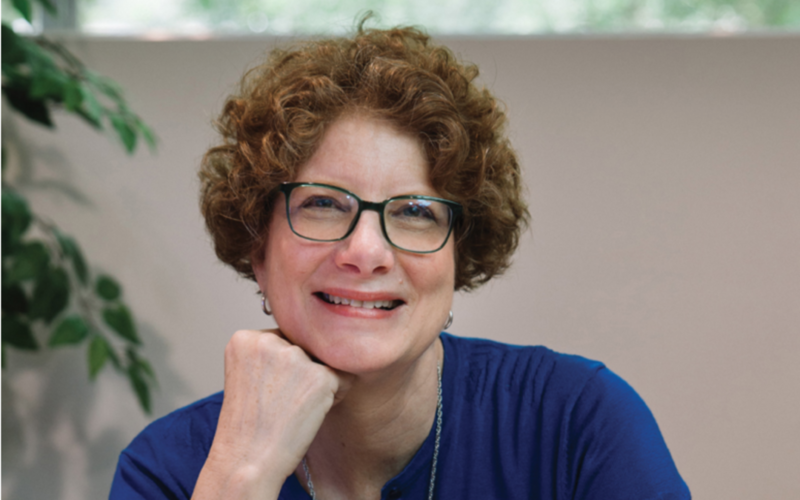 However, with over 35 years of teaching second, third and fourth grade classrooms, and, therefore, many early Monday mornings under her belt, it’s no surprise that Espensen exudes amiable friendliness with ease. Though she hasn’t taught in a classroom since 2013, Espensen is nowhere near finished with the education world. From that desire came Southern Science Supply, through which Espensen sells a wide array of lab supplies and chemicals to schools, universities, home schoolers and science enthusiasts. Early on, though, Espensen realized she could excel in the niche of selling digital microscopes. The light, portable microscopes Espensen specializes in are easy to use and can plug into laptops or cell phones, making them perfect for students, hobbyists and scientists alike. 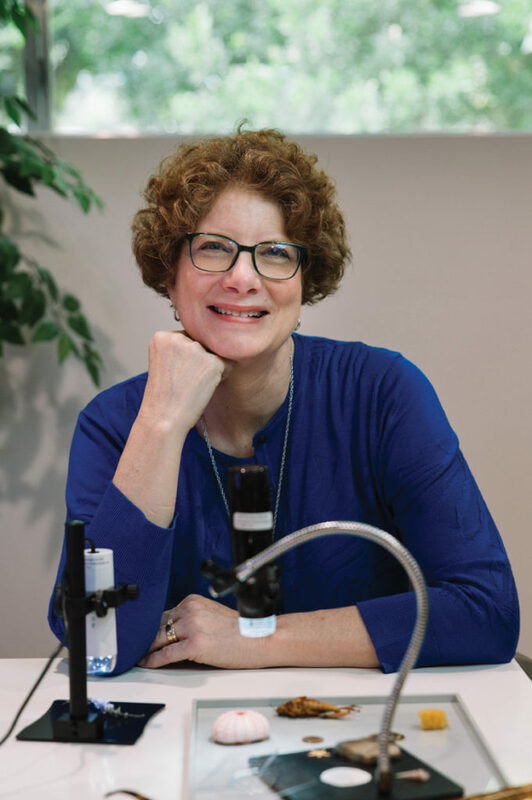 It was through the study and sale of these microscopes that Espensen discovered something that has led to her national following, and offered her a chance to increase the knowledge and learning of students across the board. It’s called the LiveSlide, a plastic, reusable slide with a shallow well in the middle, perfect for live specimens to be examined without swimming away. Whereas the traditional glass slides from high school days of yore are nothing more than a thin, flat piece of glass, Espensen’s design has slots and a perimeter to allow for optimal viewing. To help me understand how it worked, Espensen pulled one out of her purse in a very Mary-Poppins-meets-Ms.-Frizzle style, ever the teacher. Even with my lack of a science background, it was easy to see how her design would benefit children in the classroom and make it easier for them to study the subject Espensen is so passionate about. Espensen’s affection for her students is evident in the way she reminisces on her days in the classroom. Espensen still possesses that dedication to curiosity. At her core, she has the heart of a teacher, and it shows through her encouragement of other women in their pursuit of stepping out of their comfort zone. Espensen said some days, she’ll look around at her warehouse, now stocked with microscopes, science kits and equipment she designed herself, and think about how a few years ago, there was nothing in there at all. Change is never easy. However, the best things in life don’t often come easy. Whether it’s pursuing a new career, opening a restaurant, starting a family, or simply exploring roads unknown, change can be necessary, and, when handled with bravery, very much worthwhile. For these San Antonio women, courage defines their success. They exemplify women who see a need and take a chance, and that is an example worth following.